Cheap Limo Hire Brisbane - Quality Limousines, cheap prices! Looking for cheap limo hire Brisbane, Ipswich or Gold Coast? If you’re on a tight budget for your Wedding or special event, talk to us today at Brisbane Limousines for cheap limo hire Brisbane. Brisbane Limousines provide some of the cheapest limo hire Brisbane, Ipswich and Gold Coast region. We’re a great choice if you like to save money. Now just because our limo hire is cheap it doesn’t meet that we our limos are not immaculately presented, well maintained and that our driver’s aren’t professional and courteous. In fact, we guarantee you’ll be impressed with how cheap our limo hire is, for such a luxury product. Our limo hire prices are published on our website and we think you’ll agree that for such premium limousines, that its quite cheap. Our limo hire rates start from just $169 for a stretch limousine. This is far cheaper than our Brisbane competitors for this type of limousine. We often get asked how come our limo hire prices are so cheap compared to our Brisbane competitors. Sometimes customers ask to come and inspect the Brisbane Limousines cars because they’re worried that maybe its too cheap and they think they wont be getting a premium product. We welcome all inspections because we know you’ll be impressed. We regularly get feedback from clients that our limos are so cheap that they are around half the price of other quotes that customers have got from other limousines companies. Even though it seems we don’t have to have such cheap prices, we like to keep our limousines and our drivers busy. We do this because we think its better to offer cheap prices and to keep our family of valuable employees with regular income, than to have our limousines sitting around gathering dust. Want luxurious but cheap limo hire for your Brisbane or Gold Coast event? 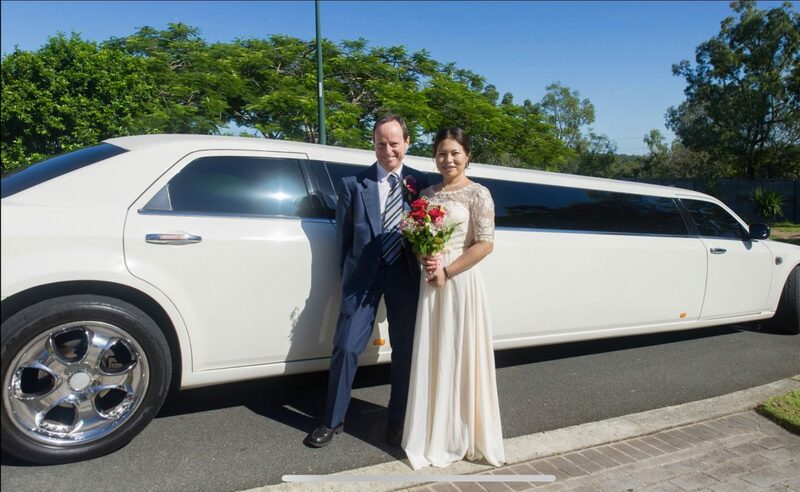 Brisbane Limousines doesn’t waste money on fancy advertising or corporate sales consultants, we just offer exception vehicles, cheap prices and professional, reliable and experienced drivers. Message us now!